West Lake made its way into the UNESCO's World Heritage Sites list in 2011, and has been in great demand among tourists ever since. This lake and its surrounding areas have been a source of inspiration for many poets, painters and Chinese garden designers throughout the ages. It is located in the historic city, Hangzhou, which is the capital of Zhejiang province in eastern part of China. The government of Zhejiang hosted the first 'West Lake Expo' from 6th of June till 20th of October in the year 1929, in order to encourage businesses and promote the country's products. This event attracted large number of delegates from different parts of the world, such as, Britain, America and Japan, other than the delegates from China. Total number of participants attending the first West Lake Expo amounted to over 20 million. This event was discontinued owing to the turmoil that China went through in the following years. 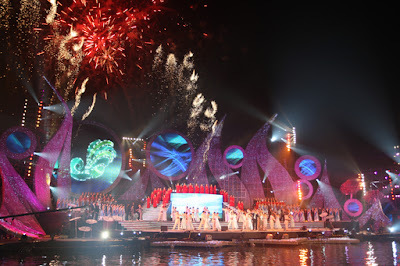 It was revived by the Hangzhou government in 2000, and popularized it as an annual festival. Ever since its revival, the West Lake Expo has developed convention and exhibition industry in Hangzhou and its counties to a great extent. Millions of visitors have participated in this amazing event, resulting in the trade transaction value of about 63.241 billion RMB yuan. Domestic investment amounted to 67.553 billion yuan, while foreign investment amounted to 4.924 billion US dollars. It has also created a great demand for China vacation packages among tourists worldwide; as most of them are fascinated by the tourist attractions in this region, besides participating in the expo. Hangzhou is all set to host the 15th West Lake International Expo in October, which would include a series of exhibitions and leisure activities. Over 10 million people, including businessmen and executives coming from different parts of the world are expected to visit this expo. This event is being co-organized by Hangzhou's municipal government, China National Tourism Administration, Zhejiang Provincial Government and General Administration of Sport of China. It is also expected to achieve a trade turnover of about 1.6 billion US dollars and attract Foreign Direct Investment of 1 billion US dollars. Both visitors and exhibitors would get the chance to enjoy musical performances, plays focusing on local traditions and delicious cuisines during this event. Business executives would find many local opportunities, which would not only benefit them, but also contribute towards the region's social and economic development.